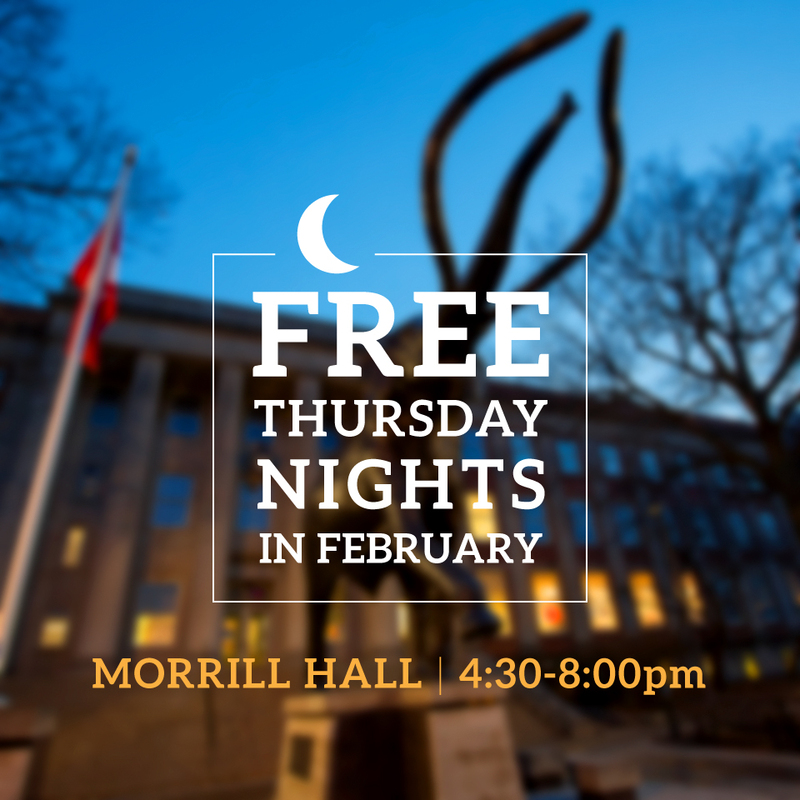 Pose with the plesiosaur and mingle with the mammoths in Morrill Hall for free on Thursday nights in February. The University of Nebraska State Museum in Morrill Hall, south of 14th and Vine streets, will offer visitors free admission from 4:30 to 8 p.m. Feb. 4, 11, 18 and 25. Feb. 4, 4:30 to 8 p.m. -- "Ready Jet Go!" Launch Party. Watch PBS Kids' newest series, "Ready Jet Go!," before it airs on TV. Join NET Kids at Morrill Hall to watch the first episode followed by kids' activities. Showtimes are 5, 6 and 7 p.m.
Feb. 18, 6:30 to 8 p.m. -- Science Cafe: Natural Selection. Science Cafe in Mueller Planetarium at Morrill Hall is a casual, educational and entertaining monthly series for adults 21 and older exploring a variety of science and natural history topics. The event includes food, drinks and the opportunity to ask questions and share opinions. Admission is $15 for museum members and UNL students, faculty and staff; and $20 for non-members. Tickets can be purchased at http://museum.unl.edu/ScienceCafe. Feb. 25, 7 to 8 p.m. – SciPop Talk. In partnership with UNL Libraries, the museum will host a SciPop talk called "Parasite Biodiversity: Discovering the Unknown Pathogens Before They Discover Us," given by Scott Gardner, professor in the University of Nebraska-Lincoln School of Biological Sciences. The SciPop Talks! series combines science and popular culture. Mueller Planetarium, located inside the museum, will present "Big Red Sky Tour: Winter" at 6 p.m. each Thursday in February. Regular admission to Mueller Planetarium fulldome shows will apply. Tickets can be purchased at the front desk of the museum the day of the show. The planetarium schedule can be found at http://www.spacelaser.com. Established in 1871, the University of Nebraska State Museum is the state's premier museum of natural history. The museum is focused on promoting discovery in natural science, fostering scientific understanding and interpretation of the Earth's past, present and future, and enhancing stewardship of the natural and cultural heritage of Nebraska through world-class exhibits, collections and special events.